When an animal or plant species is said to be endemic to a certain location, it means that the said species is unique to that place, appearing nowhere else on the planet. Geographic isolation is a primary cause for species endemism. When an animal or plant species is said to be endemic to a certain location, it means that the said species is unique to that place, appearing nowhere else on the planet. Geographic isolation is a primary cause for species endemism. 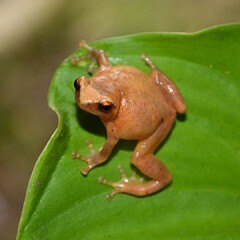 The Philippines – with its multitude of islands, inland bodies of water, mountain ranges, and other types of habitats – is therefore brimming with endemic species. Dispersal into another habitat and the formation of new species. Speciation may occur when a certain species from one island disperses towards a nearby isolated island (by flying or rafting). The colonists eventually evolve into a new species through processes such as natural selection, genetic drift, or both. Merging of habitats, leading to expansion of range and persistence of a species. The movement of tectonic plates may cause formerly separate islands to join, allowing inhabitants of one island to spread further and propagate in the newly expanded territory. Merging of habitats with distinct species. Following the same fusion of territory as described in the second scenario, distinct species from the two joined islands may either continue to proliferate as separate species or, if compatible, eventually interbreed into a new species. Fragmentation, geographic isolation, and genetic differentiation. Reversing the second scenario, tectonic movement may cause a single large island to break apart into two. The population of a certain inhabiting species will thus be divided between the separated islands. The resulting isolation between the islands may influence the emergence of a new, distinct species by way of natural selection and/or genetic drift. Emergence and eventual submergence of a land bridge. Through events in geological evolution, land bridges may appear between two separate island territories when the sea level falls, only to disappear again once the water rises once more. The land bridges may allow the inhabiting species of one island to move towards the other one, expanding the range of distribution. The populations gradually become slightly different but may still interbreed when the sea level drops again. Splitting of population within an island due to the formation of a geographic barrier. On a certain terrestrial territory, speciation may occur when inhabitants of a high altitude territory (ranges of mountains of varying heights, for example) are allowed to move to the lowland by a shift towards a cooler climate. Eventually when the climate warms, the populations are compelled to seek higher altitudes again, where each mountain territory is fully isolated. Gradual genetic differentiation among the species that moved to the new territories may also result in speciation.